Great for podcasters, live streaming, DJs, and musicians on the road or in the studio, the Studio 26 2x4 USB 2.0 bus-powered audio/MIDI interface can record up to 24-bit, 192 kHz audio. 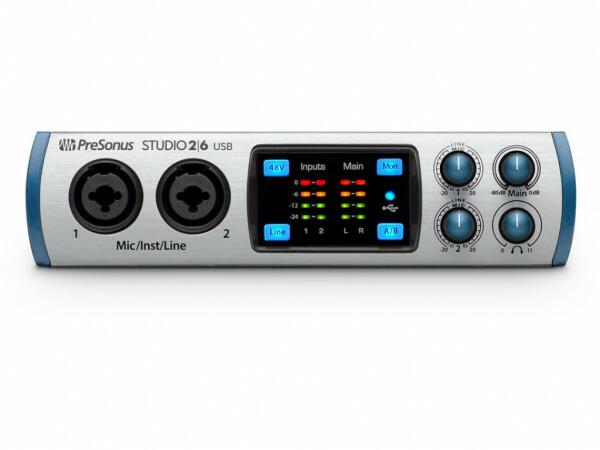 Equipped with PreSonus XMAX-L solid-state preamps and high-end converters, it delivers professional quality audio in a rugged, compact enclosure, allowing you to create your next hit in your studio or on the go. A complete, all-in-one recording solution, the Studio 26 comes with PreSonus' award-winning Studio One® Artist DAW software for Mac® and Windows®. The Studio 26 is a great choice for podcasters, singer/songwriters, or a couple of guitarists who want to collaborate or jam. Use it for recording sermons and teaching music, too! A Cue Mix A/B function lets you toggle between two mixes while monitoring through headphones-perfect for DJs and to listen in on a performer's monitor mix. on to a keyboard, sound module, or control surface, as well, making it the central hub for your whole studio. This suite of plug-ins brings extended sonic functionality into Studio One. Cherry-picked from the first names in virtual instruments and effects, each one brings a different flavor of practical magic to your songs. These plug-ins aren't gimmicky one-trick ponies - these are real-deal workhorses that you'll find yourself relying on for countless mixes. 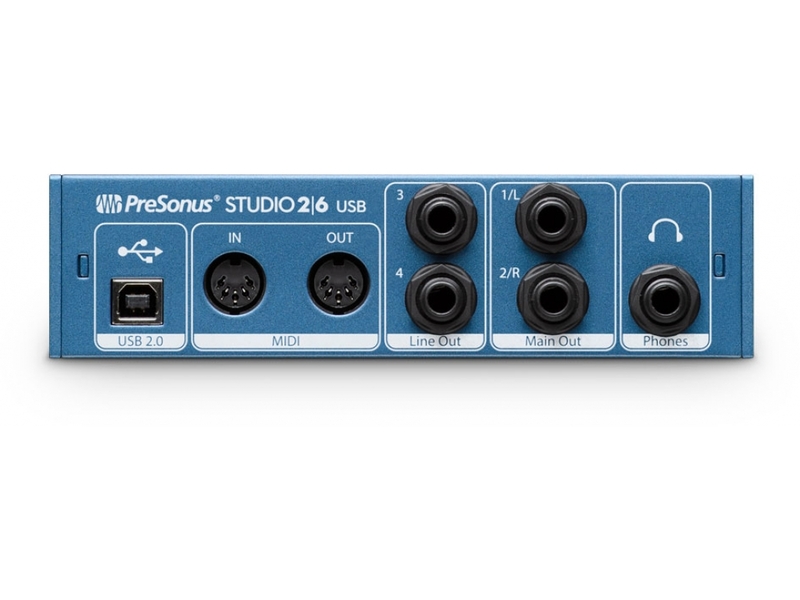 Weiterführende Links zu "Presonus Studio 26"
Kundenbewertungen für "Presonus Studio 26"